Testing, processing and characterization of refractory ceramics, ceramic synthesis and processing in general, use of statistical techniques, Fuzzy Logic and Artificial Neural Networks (ANN) in modeling of ceramic systems. Analysis of historical ceramics, mortars and plasters. Harbor sediment remediation. 2. E.Yalamaç, A.Trapani and S.Akkurt, “Sintering and microstructural investigation of gamma–alpha alumina powders“, Engineering Science and Technology, an International Journal, Volume 17, Issue 1, March 2014, Pages 2-7. 3. Mucahit Sutcu, Juan José del Coz Díaz, Felipe Pedro Álvarez Rabanal, Osman Gencel, Sedat Akkurt, “Thermal performance optimization of hollow clay bricks made up of paper waste“, Energy and Buildings, Volume 75, June 2014, Pages 96-108. 4. Mucahit Sutcu, Sedat Akkurt, Alican Bayram, Uluc Uluca, “Production of anorthite refractory insulating firebrick from mixtures of clay and recycled paper waste with sawdust addition“, Ceramics International, Volume 38, Issue 2, March 2012, Pages 1033-1041. 5. Budak M., Akkurt S. and Böke H., “Evaluation of heat treated clay for potential use in intervention mortars”, Applied Clay Science, in press, 2010. 6. M.Sütçü and S.Akkurt, Utilization of recycled paper processing residues and clay of different sources for the production of porous anorthite ceramics, Journal of the European Ceramic Society, 30, 1785-1793, 2010. 7. M.Sütçü and S.Akkurt, A microstructural study of surface hydration on a magnesia refractory, Ceramics International, 36, 1731-1735, 2010. 8. Balıkoğlu F. and Akkurt S., “Isothermal Corrosion Testing of Frit Furnace Refractories”, Ceramics International, 35, 3411-3419, 2009. 9. Sütçü M. and Akkurt S., “The Use of Recycled Paper Processing Residues in Making Porous Brick with Reduced Thermal Conductivity”, Ceramics International, 35, 2625-2631, 2009. Sütçü M., Akkurt S. and Okur S. “Influence of crystallographic orientation on hydration of MgO single crystals”, Ceramics International, 35, 2571-2576, 2009. Şenöz C. and Akkurt S., “Corrosion of dense alumina and zirconia crucibles in frit melts”, American Ceramic Society Bulletin, 87, No:8, 9201-9204, 2008. Kavalcı S., Yalamaç E. and Akkurt S., “Effects of boron addition and intensive grinding on synthesis of anorthite”, Ceramics International, Vol:34, 1629-1635, 2008. Akkurt S. , M.Romagnoli and M.Sutcu, "DOE and ANN models for powder mixture packing”, American Ceramic Society Bulletin, Vol:86, No:7, 9101-9104, 2007. Sutcu M. and Akkurt S., "ANN model for prediction of powder packing", Journal of the European Ceramic Society, Volume 27, 2007, Pages 641-644. Yalamac E. and Akkurt S., "Additive and intensive grinding effects on synthesis of cordierite", Ceramics International, Volume 32, Issue 7, 2006, Pages 825-832. Böke H., Akkurt S., İpekoğlu B. and Ugurlu E., "Characteristics of brick used as aggregate in historic brick-lime mortars and plasters", Cement and Concrete Research, Vol:36, No:6, 1115-1122 (2006). Yalçıntaş M. and Akkurt S., "Artificial neural networks applications in building energy predictions and a case study for tropical climates", International Journal of Energy Research, Vol:29, 891-901 (2005). Akkurt S., Tayfur G. and Can S., "Fuzzy logic model for the prediction of cement compressive strength", Cement and Concrete Research, Vol:34, No:8, 1429-1433, 2004. Akkurt S. and Özcan S. "ANN model predicts floor tile properties", American Ceramic Society Bulletin, Vol:83, No:2, 9101-9109, 2004. Akkurt S., "The Use of ANNs in the Prediction of Slag Corrosion of MgO-C Ladle Refractories", Key Engineering Materials, Vol:264-268, 1727-1730 (2004). Mercankosk Y., Akkurt S. and Ciftcioglu M., " Microstructural characterization of industrial chromite and spinel cement kiln refractories with emphasis on the rich-rich rims", Key Engineering Materials, Vol:264-268, 1763-1766 (2004). Böke H., Akkurt S., and Ipekoglu B., "Investigation of the pozzolanic properties of bricks used in Horasan mortars and plasters in historic buildings", Key Engineering Materials, Vol:264-268, 2399-2402 (2004). Yalamac E., Akkurt S. and Ciftcioglu M., "Low temperature synthesis of MgO.Al2O3 spinel by mechanical grinding", Key Engineering Materials, Vol:264-268, 53-56 (2004). Boke H., Akkurt S., Ozdemir S., E.H. Gokturk and E. N. Caner Saltik "Quantification of CaCO3-CaSO3.0.5H2O-CaSO4.2H2O mixtures by FTIR analysis and its ANN model ", Materials Letters, Vol: 58, No:5, 723-726, 2004. Boke H. and Akkurt S., "Ettringite formation in historic bath brick-lime plasters", Cement and Concrete Research, Vol:33, No:9, 1457-1464, 2003. Akkurt S. and Leigh H.D. "Corrosion of MgO-C ladle refractories", American Ceramic Society Bulletin, Vol: 82, No:5, 32-40, 2003. Akkurt S., Ozdemir S., Tayfur G. and Akyol B., "The use of GA-ANNs in the modelling of Compressive Strength of Cement Mortar", Cement and Concrete Research, Vol:33, No:7, 973-979, 2003. Akkurt S., Ozdemir S. and Tayfur G., "Genetic algorithm-artificial neural network model for the prediction of germanium recovery from zinc plant residues", Transactions of the Institute of Mining and Metallurgy, Section C: Mineral Processing and Extractive Metallurgy, Vol: 111, No:3, C129-C134, 2002. Akkurt S. and Leigh H.D. "Characterization of composite MgO-C refractories as an initial step to understanding corrosion", Journal of the Canadian Ceramic Society, Vol: 71, 9-18, Fall 2002. Topkaya Y. and Akkurt S., "Acid curing and baking of Bastnaesite ore and concentrate", Materials Science Forum, Vol: 315-317, 530-536, 1999. Akkurt S., Topkaya Y., Ozbayoglu G., "Extraction of rare earths from a Turkish ore", Fizykochemiczne Problemy Mineralurgii, Vol: 27, 69-76, 1993. Böke H., Akkurt S. ve İpekoğlu B., "Tarihi yapılarda kullanılan Horasan harcı ve sıvalarının özellikleri", Yapı, Cilt:269, No:4, 90-95, (2004). Böke H., Akkurt S., İpekoğlu B. ve Uğurlu E., "Onarım amaçlı Horasan harç ve sıvaların hazırlanması", Mimarlıkta Malzeme, Cilt:2, No:3, 68-72, (2007). Carry C., Yalamaç E. and Akkurt S.,” Co-sintering behaviours of oxide based bi-materials”, International Conference on Sintering, San Francisco, 16-20 Nov 2008. S.Akkurt, M.Sütçü, C.Göl and M.Çiftçioğlu, “Harbour Sediment Remediation in Vitrified Ceramic Bodies ”, 10th ECERS, Berlin, Germany, 17-21 June 2007. F.Balıkoğlu and S.Akkurt, “Isothermal Corrosion Testing of Frit Kiln Refractories”, 10th ECERS, Berlin, Germany, 17-21 June 2007. M.Budak, S.Akkurt ve H.Böke, “Characterization of 14th century Anatolian lime mortars for conservation purposes”, 9th ECERS, Portoroz, Slovenia, 19-23 June 2005. M.Sütçü ve S.Akkurt, “ANN model for prediction of powder mixture packing”, 9th ECERS, Portoroz, Slovenia, 19-23 June 2005. E.Yalamaç ve S.Akkurt, “Additive and intensive grinding effects on synthesis of cordierite”, 9th ECERS, Portoroz, Slovenia, 19-23 June 2005. Kilic D.O., Boke H., Akkurt S. and Ipekoglu B., "Microstructural and pozzolanic characteristics of bricks used in Horasan mortars of historic St.Jean church", Proceedings of the 10th International congress on deterioration and conservation of stone, Stockholm, 1065-1071, 2004. Akkurt S., "Prediction of the Slag Corrosion of MgO-C Ladle Refractories by the Use of Artificial Neural Networks", Editors: L.Ovecoglu and H.Mandal, Proceedings of the 8th Conference and Exhibition of the European Ceramic Society (8th ECERS), 29 June-3 July 2003, Istanbul, Turkey. Mercanköşk Y., Akkurt S. and Çiftçioğlu M., “Microstructural Characterization of Industrial Chromite and Spinel Cement Kiln Refractories with Emphasis on the Iron-rich Rims”, Editors: L.Ovecoglu and H.Mandal, Proceedings of the 8th Conference and Exhibition of the European Ceramic Society (8th ECERS), 29 June-3 July 2003, Istanbul, Turkey. Böke H., Akkurt S. and İpekoğlu B., ”Investigation of the Pozzolanic Properties of Bricks Used in Horasan Mortars and Plasters in Historic Buildings”, Editors: L.Ovecoglu and H.Mandal, Proceedings of the 8th Conference and Exhibition of the European Ceramic Society (8th ECERS), 29 June-3 July 2003, Istanbul, Turkey. Yalamac E., Akkurt S. and Çiftçioğlu M., “Low Temperature Synthesis of Spinel Powders by Mechanical Grinding”, Editors: L.Ovecoglu and H.Mandal, Proceedings of the 8th Conference and Exhibition of the European Ceramic Society (8th ECERS), 29 June-3 July 2003, Istanbul, Turkey. Akyol B., Akkurt S. and Ciftcioglu M., "The use of statistical experimental design to investigate the autoclave curing and standard curing of cement", Proceedings of the 9th Concrete Roads Symposium, 27-30 April 2003, Istanbul, Turkey. Akkurt S., Ozdemir S. and Tayfur G., "The Use of GA-ANNs in the Prediction of Germanium Recovery from Zinc Plant Residues", Proceedings of the Australasian Institute of Mining and Metallurgy, Vol:307, 129-134, September-December 2002. Akyol B., and Akkurt S., "The Use of Artificial Neural Network in the Modeling of Cement Strength Based on Plant Data", Proceedings of the 3rd International Conference on Mathematical & Computational Applications (ICMCA’2002), Konya, Turkey, September 4-6, 2002, Editor: N.Allahverdi et.al., Selcuk University Press, Konya, Turkey, 196-203, 2002. Akyol B., Akkurt S., Ozdemir S. and Tayfur G., "The Use of Statistical Experimental Design and ANN in Modelling the Compressive Strength of Portland Cement", Proc. 11th Metallurgy and Materials Congress, 5-9 June 2002, Istanbul. Akkurt S., Leigh H.D. "Investigation of the Corrosion of MgO-Graphite Ladle Refractories by High Lime/Silica Slags via a Laboratory Slag Test", Proceedings of Unified international technical conference on refractories, Unitecr'97, New Orleans, Louisiana, 139-141, November 4-7 1997. Akkurt S. and Leigh H.D., "Corrosion Testing of Magnesia Enriched Dolomite Refractories", 1995 Annual Meeting of Fine Ceramics and Refractories Divisions, Center for Engineering Ceramic Manufacturing, March 1995, Clemson, SC, USA. Topkaya Y., Ozbayoglu G., Akkurt S., "Extraction of Rare Earth Elements from Beylikahir Complex Ore", International Conference on Recent Advances in Materials and Mineral Resources'94, Penang, Malaysia, 1994; Proceedings of Conference, 535-546, 1994. Topkaya Y., Akkurt S., Ozbayoglu G., "Metallurgical Extraction of Rare Earth Elements from Beylikahir Complex Ore", 5th International Mineral Processing Symposium, Cappadocia, Turkey, 1994; Proceedings of Symposium, Balkema Publishers, Rotterdam, 283-288, 1994. Akkurt S. and Topkaya Y.A., "Recovery of germanium and other metal values from the electrolyte purification precipititates of Cinkur zinc plant", in Proceedings of the IVth International Mineral Processing Symposium, Ed. 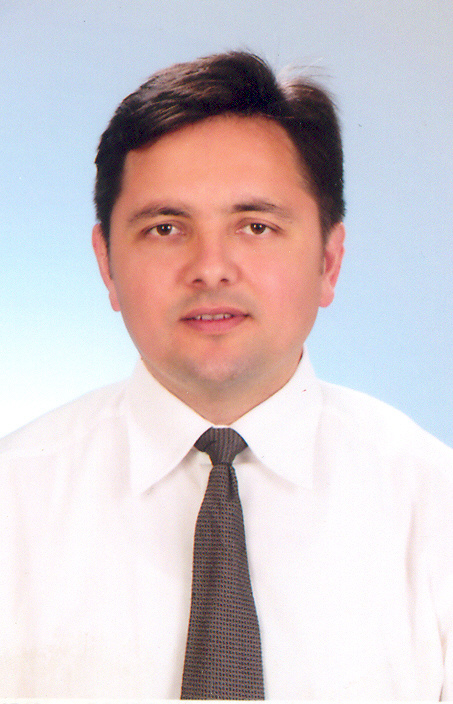 G.Ozbayoglu, 19-22 October 1992, Antalya, Turkey, 679-690, 1992. Topkaya Y., Karakaya I., Akkurt S., Ocaktan M., "Recovery of Germanium from Electrolyte Purification Precipitates and Leach Residues of Turkish Zinc Plant", Proceedings of 31st Annual Conference of Metallurgists, The Metallurgical Society of CIM, Edmonton, Alberta, Canada, 35-45, 1992. Akkurt S., and Topkaya Y.A., "Leaching of Zinc Plant Residues to recover Germanium", Proceedings of the 2nd International Metallurgy Congress, Ankara, Turkey, 564-577, 1990. Sütçü M. ve Akkurt S., “Kağıt Sanayii Atık Çamurlarının Değişik Tuğla Bünyelerinde Değerlendirilmesi”, 7nci Uluslararası Katılımlı Seramik Kongresi, 26-28 kasım 2008, Afyon. Küçük A. ve Akkurt S., “Hava difüzör uygulamaları için gözenekli seramik geliştirilmesi”, 7nci Uluslararası Katılımlı Seramik Kongresi, 26-28 kasım 2008, Afyon. Akkurt S., "Geri Saçınımlı Elektron (BSE) Görüntülerinin Refrakterlerin Yüksek Sıcaklık Korozyon Reaksiyonlarının Takibinde Kullanılması", 16ncı Elektron Mikroskopi Kongresi, Bildiriler Kitabı, Editör: M.Özerler, Sayfa: 81, 2-4 Eylül 2003, İzmir. Akkurt S., Leigh H.D. "MgO-C Kompozit Pota Refrakterlerinin Korozyon Performansının Tahmininde Mikroyapısal Karakterizasyonun Kullanılması", 5nci Uluslararası Katılımlı Seramik Kongresi, Bildiriler Kitabı, Sayfa: 312-317, 3-5 Ekim 2001, İstanbul, 2001. Akkurt S., Leigh H.D. "MgO-C Kompozit Refrakter Tuğlaların Manyezit Tane Boyut Dağılımının İncelenmesi", 2nci Makina Malzemesi ve İmalat Teknolojisi Sempozyumu (MAMTEK 2001), Bildiriler Kitabı, Sayfa: 351-357, 7-9 Kasım 2001, Manisa, 2001.